I got a new phone. 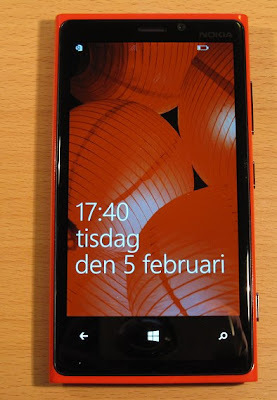 Nokia Lumia 920 running Widows Phone 8. So why a Windows Phone ? Well I have had a Android phone for a while and I like it but I want something different and I do not want an iPhone Since it think the apple platform is way to restricted. I also want to try some Mobil phone development. And I tried some Android development before but the environment with eclipse and Java makes me want to hurt someone. With Windows Phone 8 I will be developing using Visual Studio 2012 and since I use that on a daily basis anyway, I think that will work better for me. I do not have to force my self into learning eclipse and Java.